Lyndie Bryan and Luther Cain, Jr. were united in marriage at First United Methodist Church of Shreveport March 22, 2014 at 6 p.m. The ceremony was officiated by Dr. Pat Day. The bride is the daughter of Dr. David and Linda Brian of Bossier City. She is the granddaughter of Bernice Roberts and the late Leroy Roberts of Weatherford, Texas and Wanda Brian and the late Ross Brian of Weatherford, Texas. She is a graduate of Airline High School and Louisiana State University-Shreveport where she was a member of Alpha Sigma Alpha sorority. The groom is the son of Luther and Sue Cain of Bossier City. He is the grandson of Luther and Theresa Cain of Natchez Ms. and Early Lyles and the late Susie Bell Lyles of Natchez, Miss. He is a graduate of Airline High School and Louisiana Tech University. The bride was given away by her father. Decorations in the church were provided by Aunt of the bride, Mary Bradford. She was attended to by Rebecca Brian and Jill Skaggs who served as Maids of Honor. Bridesmaids were Emily Brian, Destiny Cain, Susan Cain, Dani Harrison, Erin Bauer and Jenny Traweek. Luther Cain, Sr. served as Best Man and Ross Brian was groomsman. Ushers were Chris Reich, Evan McCormick and Charlie Harrison. Flower girl was Kennedy Stewart and ring bearer was Parker Brian. Heather Adams was reader and music was provided by organist Ray Peebles. 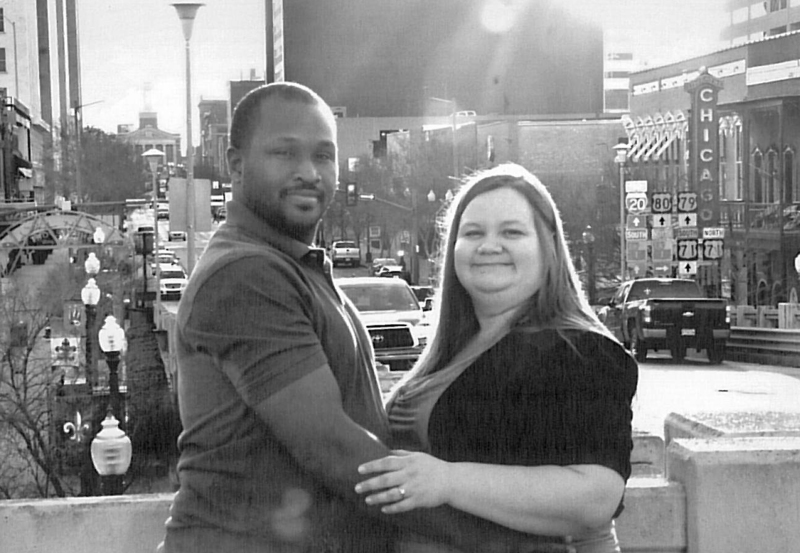 The couple honeymooned in Dallas, Texas and will make their home in Haughton.